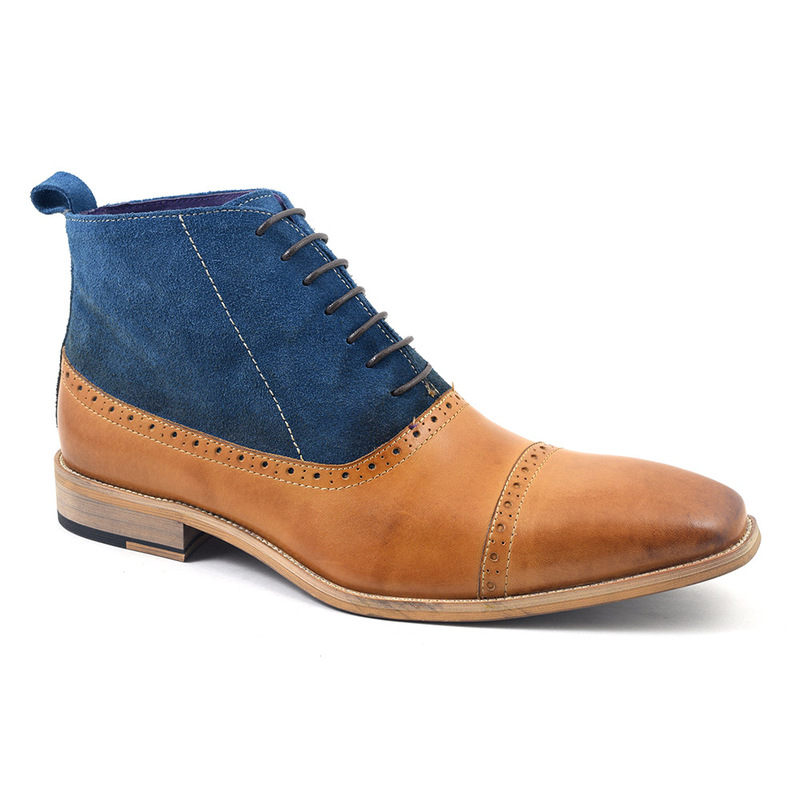 Be exuberant in these balmoral boots in light tan and lovely blue. There is brogue detail and stitch detail for a hand made feel. Be original. Be yourself. Balmoral boots are oxfords in the form of a boot which means they have a closed lacing system. 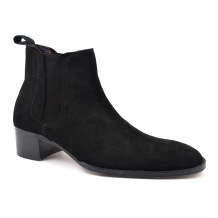 They also have a distinctive seam line from the back to the front of the boot creating an upper and lower part which can be of different colours/materials. The Balmoral was originally designed for Prince Albert who wanted a walking shoe to traverse his Balmoral Estate in Scotland but also something stylish he could wear indoors. Queen Victoria took a liking to these boots so got some made too. It is no surprise that they became so popular with the gentry and later, the general public. Balmoral boots can have various brogue detailing from wing tip to full brogue. You can find much interesting detail in this article in The Gentleman’s Gazette. 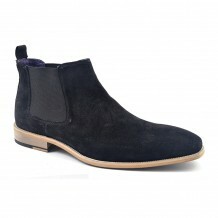 Fantastic boots, superb quatity, only buy my shoes from Gucinari and have never been disappointed. 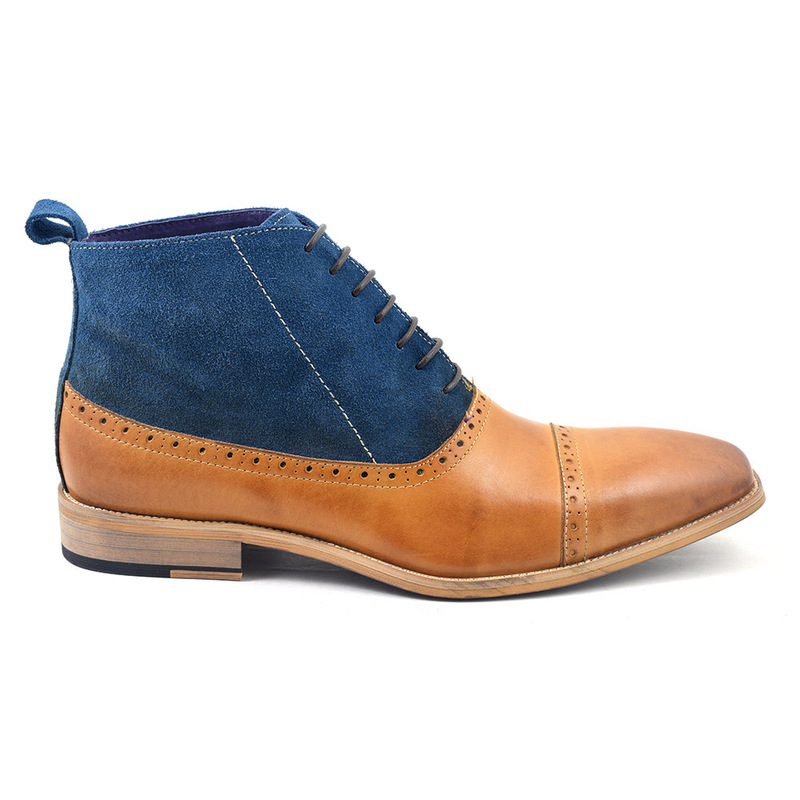 Blue and tan look great with denims, only real problem is at Gatwick security where you’ll need to take them off ! !………strange cos at Jersey you don’t !!! ……… buy a pair ! !